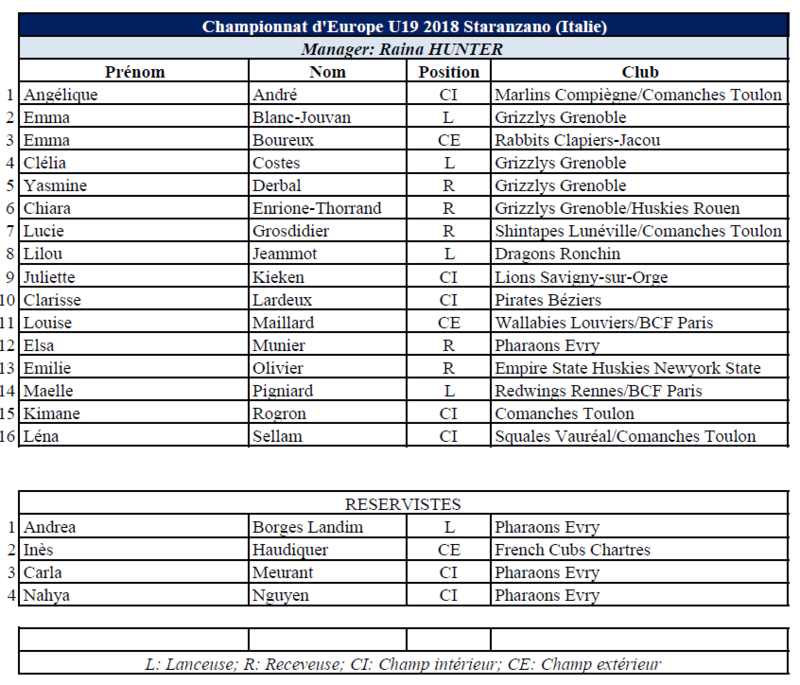 France has released its roster for the U19 European Championship in Staranzano, Italy. The tournament will be played from July 16 to 22. Manager Raina Hunter nominated 16 players plus four substitutes. France faces Germany, Croatia and Poland in Group D during the first round.